Transition Cycle Coaching has done a great job keeping me motivated recently and I just wanted to do a quick post of appreciation. Their positive mental attitude and passion for training and coaching cyclists makes me put in that extra bit of effort out on the road while their knowledge of current training practices is spot on and bang up to date. Anyway, if you've got a cycling goal and aren't sure if a coach is for you one phone call to Jody at Transition and you'll be convinced. His enthusiasm is infectious... He's got a knack for making you feel like the best cyclist in the World. That your goals are the most important thing to him. It's properly motivating and keeps you pushing yourself. Something a simple one-size-fits-all training plan just can't do. I have been coached by Transition for 1.5 years. The structured training took me to 5w/kg for 25 mile and 5.35w/kg for 10 mile TT's. Heck, shortly into starting with Transition they had me riding at 340watts up a mountain for 27mins, not that bad for a 59KG ex distance runner! The main thing I think a lot of people want from coaching is a personal experience with their coach, everything tailored to them, on top of which they want a coach that has that little "something" against any other coach you can choose. Transition for me was that perfect fit because I knew fine well I was getting training that was tailored to me in every single way, down to every little detail, the training was mine and was adapted to get the very best out of me all whilst I had a coach who understood how ridiculous my brain could be and knew how to handle me to get the very best out of myself (even when I couldn't see it). Jody is a people person, he understands athletes and can handle the ups/lows and side-to-side's. That isn't easy, athletes can be pretty difficult, but Jody is blessed with this ability to be your mate through thick and thin of it all whilst also being able to analyse every little detail of your training and plan how to take any result whether negative or positive and still work it to some advantage down the line. It really is an amazing skill he has and his enthusiasm for what he does and his riders is just exceptional. If you really are on the fence and don't know about coaching or whether if it is for you, give Jody a shout and if you are not super motivated and encouraged by a short call with him then I will be beyond surprised. I decided I needed a bit of direction with my training when I realised that I was cycling quite a lot but making absolutely no improvement. Jody gives me solid direction without breathing down my neck. He works with me to get the best from my cycling and within the amount of time that I can devote to training. His method is not to beat the living daylights out of you but to gently but firmly draw from you the best that you can do. He has also made a massive difference to my confidence levels. So much of what I didn’t do 6 months ago was due to my total lack of confidence. He has shown me how to believe in myself and that has made me push myself far beyond my comfort zone. I do things on my bike now that I’d never dreamt I would do. He often makes me feel like a world champion with his feedback, he is never disappointed and always sees the best in me. With my new found strength and ability I am now cycling with ladies that were always way in-front of me in the peloton, and I now ride with determination and purpose. Jody and I have found a relationship where I trust him implicitly and we are a fantastic team. I look forward to a long and productive future with him. Transition cycle coaching has helped me make considerable improvements in my Time Trial performances of just seven hours a week! I joined Jody back in 2014 in preparation for the national 10 TT championship where I achieved a 33 second course and lifetime pb of 19:15. The following season Transition helped me lower that even further to 18:45! The following two seasons saw me being self coached. During this period I found I was having to average 10-12 hours per week in order to just maintain my performance levels from previous seasons. At the beginning of the 2017 season aged 44, I had come to the conclusion that any more performance gains were unrealistic and maintaining current levels would be a more appropriate goal. As I have gotten deeper into my forties I have found that although I can train just as hard as in my thirties, I cannot recover as effectively from the stresses placed upon my body. This training stress/ recovery balance is of major importance when preparing for competitive racing and on my own I was getting this all wrong! This is when I decided to contact Jody and Transition for their help. Instead of just starting me off on a standard 12 week TT improvement plan, Jody analysed my training history, identified major weakness and tailored my program to meet my individual needs. As a result my training hours have reduced, my recovery rides increased and my times have started to improve again. This season I have achieved numerous course PB's and a 37 second lifetime 25 mile pb of 49:22 at the age of 44! Jody and Transition have made me believe that age is not a limiter on performance and with the correct training and guidance anything is possible. Without Jody's help and expert guidance none of this would've been possible. I would urge anyone thinking of joining a coaching company to make transition top of their list. Their friendly and deeply personalised approach is a major factor anyone should make their priority when looking for a coaching company to take their performances to another level! My desire to be coached, stemmed from a number of friend whom use Transition and NeoPro to develop their capabilities. Not only could I see them develop as riders, but their performances spoke for themselves. Being quite competitive and ambitious, with a drive to always better myself, my friend gave me the relevant contact detail, so I could make the initial introduction. Admittedly at first, a cloud of doubt lingered over me – “Am I good enough to even consider coaching?” “Do I really need a coach?” These doubts soon vanished. With considerable time constraints, finding the time to plan my training and implement it, was simply beyond my capability. Having the belief I needed 20 hours/week to get anywhere in the cycling world also hampered my aspirations. Transition cycle coaching dispelled with all these myths, taking the “thinking” (For me) out of the equation, putting me on a personalised pathway to suit my goals and life commitments. After a number of questions such as time available to train, ambitions/goals etc. the work began. After an initial phase primarily testing, working to heart rate then progressing to power, Jody had all the data he needed to construct a training schedule based on my current abilities. At this point I’d like to say I have developed so much, not only on a power to weight ration scale but mentally too. His ability to stretch your body and elicit physiological changes, pushing you outside of your comfort zone; just enough, is a true skill. Coming to the end of my first full season, under the watchful eye of Jody Warrington, he has molded me and given me the confidence to progress. Not only has he made it possible for me to attain my ambitious goals; he has enabled me to look beyond them, resetting my parameters in seeking new targets, ones I didn’t think possible. If i could give Tranistion 10 star rating, I would! There are a lot of options to level up as a cyclist but the reason these guys are so great is because they have a passion for what they do and understand in my opinion what is most the most important element which is communication. You can guarantee your coach will leave a comment on every single one of your workouts that is constructive and keeps you engaged. This often overlooked part is the most critical element of a successful relationship and one that TCC takes very seriously. With that basis set it means you can focus on the training and the plan which is equally great. Each week is set based on your reaction to the previous which means you know you are constantly monitored for fatigue and to ensure you are not over/under reaching. If you are going to invest in a coach or are considering switching you should speak to these guys first! 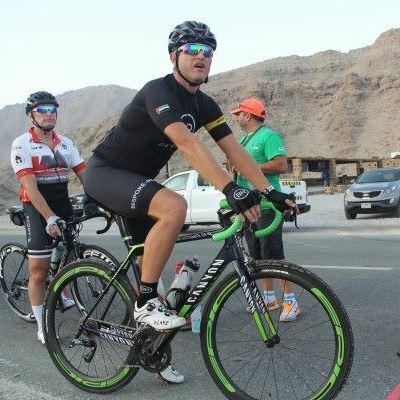 Cycling was never on my mind until 2014 when i met a group of cyclists in the UAE and I saw all these amazing adventures and travels and pain and crashing. It was a mixed emotions but i insisted giving it a try. 6 month down the road I wanted more. I wanted someone to help me achieve more physically and psychologically. A friend of mine introduced me to Transition mid 2014 and this is when i knew it was the best decision i took fitness wise. Jody is a remarkable coach and we have been working together since 2014. He made me love the sport more and for some reason i tend not to miss any workout just to make him happy and proud. I might be on the break of becoming 40y and i might not be his talented rider but definitely i work hard and harder than ever to achieve our common goal. Progression, consistency and building power is what we have been doing and Jody's knowledge is exceptional. He managed to make me a better rider not only in terms of power but also understand the logic behind what we do and why we do it. I started with the slow pokes and now i am brave enough to push with the best boys in town and make an impact. This is all because of you jody. Every time i have the chance to thank Jody i do it as he is my coach, my fitness mentor and a dear friend. Thnk you Transition cycles and than you Jody. 3 years now with Transition. Back then I was looking for a new coach, I felt I was overtrained which just exacerbated the numerous injuries that I was carrying and I wasn’t happy. At the time I was in Dubai and Jody came highly recommended by a local bike shop manager. I needed someone that would listen to what I was saying, someone that I could build a trustful relationship with. I didn’t have any strengths really, just lots of weaknesses. My weakness were all physical, zero flexibility, weak core, basically the body and mind were not connected. I spent 6 month in physio to get the body to function and it’s still ongoing and Jody knows how good it is for me and is part of my injury prevention routine. I spend nearly as much time working off the bike as on it. What I found in Jody was exactly what I needed. He listened to me from the start; he accepted I wasn’t a normal case for a standard training schedule. He built me from the ground up, bought into my off the bike work. It seemed like forever getting the fitness up or as Jody calls it ‘fatigue resistance’. The foundation took a lot longer than most due to frequent periods off the bike to sort out re-occurring injuries. Jody never once wanted me to ride with my injuries flaring up and respected I needed to do a lot of off bike strengthening, conditioning, flex work etc. ‘listen to your body’ as he likes to say. The training plan was never fixed for the week ahead, especially if an injury came back, Jody would change it but due to time zones this is not always possible. One of the greatest tools he has given me is ‘believing in myself’ and taking ‘ownership’ of my training. If I have just cause and reason to change the plan and can communicate that then it has never been an issue. I haven’t won any races, set any real PB’s like other riders he coaches but success can be measured in other ways. My injuries don’t flare up now like they used to, training is more consistent. Jody has helped build a stronger engine and a more fatigue / injury resistant one. Jody could have flogged me but he has never done that, always the very opposite, a very measured approach that with time results will come. One of the things most people never mention is the mental training that comes with Jody. He is brilliant in helping you deal with those demons in your head that come mainly through boredom in my case but also pushing through when your body is saying ‘NO’ when doing long intervals on an Indoor trainer. I’m not going to say how he does it as it is now my biggest strength, ‘to mentally and physically suffer’. Jody has the ability to motivate you in a way that allows you to pick yourself up time and time again. Believe me I have to pick myself up a lot. He never criticises, never over praises if not deserved. Do the work and the best part of all comes. For me the best part is the feedback every week. It’s like getting your exam results every 7 days and acing them and it comes from one of the people I most respect in this world. I just love that part. I could say a lot more on different areas of Jody’s coaching but this little part of the 3 year journey is the most important to me and most likely something you do not normally read about from other riders / athletes about their coach. I’m not going anywhere and whilst now in Singapore we have new goals around what are my strengths, which have been built over time and that is down to me and my hard work with the knowledgeable, careful guidance and understanding of Jody Warrington and Transition. He wants you to be the best that you believe you can be and just a little bit more. ​​I have been working with Transition in the closing weeks of last season and after only one winter of training I started my season with my best ever road race result. Two weeks later I took well over a minute off a course PB in one of my opening time trials of the year,and have been finishing road races that in previous years I didn’t last longer than 10 miles in. The personalised structured training plan really has worked for me, whilst not interfering at all with my studying. Jody has also helped me massively improve my nutrition and he is extremely motivating, improving the mindset that I approach both racing and training with. 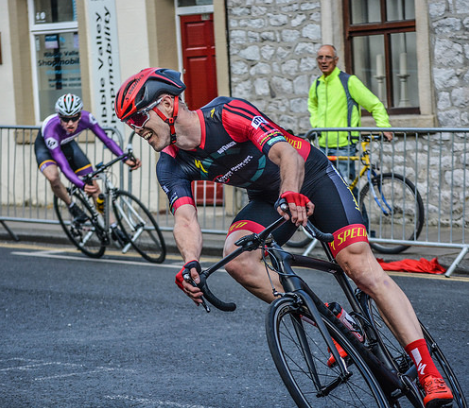 I can’t wait to see how my road racing and time trialling will improve throughout the rest of the season and am particularly looking forward to working with Jody through this years hill climbs! For anyone thinking about cycle coaching I have two things to say about Transition. First, don't expect gung-ho, pain-based drills. Jody takes a steady, planned and detailed approach and is always great at listening to feedback, explaining plans and doing a bit of cheerleading when you need it. I joined Jody's Transition coaching programme in April 2015 as a lead-up to the UCI Masters World Champs in Denmark. Having been a life-long sports addict and coming from a background of Rowing (Henley Wyfolds Cup qualifier) and Triathlon (Ironman South Africa finisher), I thought that I had a broad understanding of coaching and training techniques. However, everything about Jody's approach, training plans, analysis and feedback has been a revelation to me. Jody has taken all the weight of training planning off my shoulders, leaving me to just focus on the sessions and hitting the very structured power based targets. Jody has enabled me to smash longstanding PB's in a short space of time and he provides invaluable feedback and great motivation, always listening to any concerns and tailoring the sessions to achieve personal targets or racing ambitions. Anything seems possible now and Jody sets no ceiling to performance potential. For those who want to achieve their personal goals Transition is a must have! !